ON SEEING AS A AN ARTIST OR, FIVE TECHNIQUES FOR A JOURNEY TO EINFUHLUNG, C.M. Mayo's Transcript of Remarks for the Panel on "Writing Across Borders and Cultures"
"Writing Across Borders and Cultures"
"A Reading List for Writing Across Borders and Cultures"
How many of you have been to Mexico? Well, viva Mexico! Here we are in New Mexico, Nuevo México. On this panel, with Dawn Wink and Kathryn Ferguson, it seems we are all about Mexico. I write both fiction and nonfiction, most of it about Mexico because that is where I have been living for most of my adult life that is, the past 30 years married to a Mexican and living in Mexico City. But in this talk I would like to put on my sombrero, as it were, as an historical novelist, and although my novel, The Last Prince of the Mexican Empire, is about Mexico, I dont want to talk so much about Mexico as I do five simple, powerful techniques that have helped me, and that I hope will help you to see as an artist and write across borders. I start with the premise that truth is beauty and beauty is truth, and that seeing clearly, seeing as an artist, is what brings us towards truth. My second premise is that through narrative we become more humanand that sure beats the alternative. My third premise is that writing about anyone else, anywhere, is to some degree writing across a border. The past is a border. Religion is a border. Gender is a border. Social class is a border. Language. Physical conditions people who have peanut allergies are different than people who do not have peanut allergies. The challenge is this: As Walter Lippman put it, For the most part we do not first see and then define, we define first and then see. And I would agree with Lippman that in our culture, for the most part, and of course, with oodles of exceptions, we are not educated to see, then define. Ironically, the more educated we are, the more we as literary artists may have something to overcome in this respect. 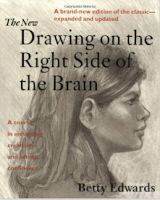 How many of you are familar with Drawing on the Right Side of the Brain? How many of you have tried that exercise where you take a black and white photograph of a face, turn it upside down, and copy it? Turning the picture upside down tricks your brain to get past the labels of that is a nose, or, say, that is an eyelid, a wrinkle, a cheek... You are just drawing what you actually see, this weird jumble of shapes and shadows. You turn it right side side up and, wow... its Albert Einstein! And why is seeing this way, seeing as an artist so important? Because if we as writers cannot see as artists, with that wide open, innocent sense of attention and wonder that would see first, and then, maybe, define, whether we are writing about a Mexican or a Korean ballet dancer or a Texas cowboy or the old lady who died in the house next door one hundred years ago whomever we are writing about, if we cannot see that human being with the eyes of an artist, our writing about them will not be fresh, it will be fuzzy, blunt, stale, peculiarly distorted. In a word: stereotypical. It will be distorted in the same way that people who do not know how to draw will make the eyes too big, the foreheads too small, and ignore most of the shadowsthe face they draw looks like a cartoon, not the way the face actually looks, because the left side of their brain was busy labeling things. Seeing as an artist, on the other hand, is seeing without filters. Radical seeing. For us as writers this means seeing without prejudice, without bias, without the... shall we say, enduring presumptions. So how do we get to that altered state? And then see? It starts with slowing down, being here now, in your body. Breathe in and breathe out, slowly, keeping your attention on following each breath, in and out. In and out. Five to 10 of these usually works just fine. If youre really stressed out and distracted, maybe more. Whatever works for you. Set asides. This quiets the so-called monkey mind. Using a pen and paper, and using the present tenseusing the present tense is keysimply writing down what you want to set aside for the duration of your writing session. I am concerned that the front tire of my car looks low. I am worried that so and so will say thus and such... whatever. You just set these aside. And because you are writing them down, no worries, they will be there for you when you need to pick them up again. Really, it is that simple. And incredibly powerful. Now to actually seeing as an artist. I think of it as adopting the mindset of a four year old child. A four year old is old enough to speak and maybe even read and write a little bit, but young enough to have no presumption, no bias, no definitions, no worry about time, no social status to defend. No need to be cool. Its just, youre four and youre noticing things, playfully. Innocently. Dangerously. Like that little boy who asked, Why isnt the emperor wearing any clothes? So we can start noticing things. Like, ooooh, the person sitting next to us. What is the shape of her hair? Whats on her left hand? If you could touch her sleeve what would it probably feel like? Other people may inform us that a wall is, say, pink. But if we can see as an artist, get past all the filters, we will see that the wall is cotton candy pink, over there. Down in the corner, away from the window, it might be more of an ash rose. Over there, where it catches the glow from the reflection, its a salmon pink. Up near the ceiling light, almost white. Its gray, its lavender. That wall might have hundreds of different colors. Other people may inform us about other people, such as, say, Mexicans. Mexicans are like this or, Mexicans are like that. But if we can see as an artist, we may see something, someone who does not fit into, shall we say, the enduring presumptions. Such as Maximilian von Habsburg. Speaking of emperors, Maximilian wore some very nice clothes. Beautifully tailored suits and uniforms. Who has heard of Maximilian? Most Mexicans will tell you that Maximilian was not Mexican, that he was Austrian, he was the Archduke of Austria, he was a puppet monarch imposed by the French Imperial Army. But at the time Maximilian died, executed in Mexico by firing squad in 1867, there were many Mexican monarchists, a minority of Mexicans certainly, but many, who considered Maximilian Mexican, as he did himselfhe considered himself the mystical embodiment of his people, his subjects, the Mexicans. His skin was very pale and he had this down-to-here red beard. As you might recall, the Habsburgs had once ruled Spain. So to Louis Napoleon and the Mexican monarchists, for the throne of Mexico, Maximilian seemed a logical and very apt choice. And the Pope thought so, too, by the way. Do your reading and research, and I could talk for an hour or more just about reading and research...archives and handwriting and photographs and newspaper clippings... but the clock is ticking. One thing I would urge you to consider is to read for perspectives outside your comfort zone. For example, I am the last person who would pick up the memoir of Princess Dis butler. But in fact, that memoir, Paul Burrell's A Royal Duty, as well as many other dishy English and European palace memoirs that have oozed out over the past couple of centuries, helped me see palace life in ways I might not have been able to otherwiseto crack its brittle surface of glamour and glimpse some of those oh-so-very human beings. Always, always question the source. You might be surprised I certainly was by how many facts rendered in standard histories turn out to have originated in wartime propaganda or were complete fictions tossed off by political enemies. Whenever someone says something about someone, ask, what was their aim? What was the information they had at the time? Their biases? And what were their incentives? Visit relevant places, if you can, always trying to see them from the point of view of your characters. When youre there, put yourself in their shoes. You may or may not have sympathy for them, but your artists imagination, your artists eye, must. 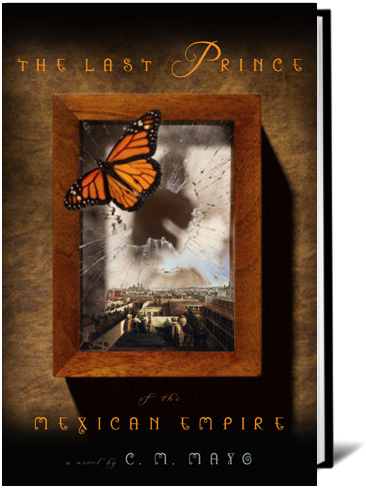 Id like to end with a brief reading from the novel, The Last Prince of the Mexican Empire, from a flashback in Maximilian's point of view. When he was a twelve year-old boy, there was a distinct moment of a gray winters day in the Hofburg when he looked up from his schoolwork, the endless hieroglyphics of trigonometry, and caught sight of his reflection in the window. Four oclock and it was nearly dark outside. He had been horrified: how old he looked. The life drained out of him! In a whisper that neither his older brother Franz Joseph nor their tutor could hear, he solemnly swore: I shall not forget who I truly am. Adults, it seemed to Max, were as butterflies in reverse: they too, had been beautiful and free, but they had folded in their wings, cocooned themselves, and let their appendages dissolve until what they became was hard, ridged, little worms. Ones tutor, for example, reminded one of a nematode. Twiddling concern with numbers, practicality in all its Philistine guises makes Maximilian stupendously bored. He needs vistas of sky, mountains, swift-running, sun-sparkled water; he needs as a normal man must eat to explore this world, to see, to touch its sibylline treasures: hummingbirds. The red-as-blood breast of a macaw. The furred and light-as-a-feather legs of a tarantula. God in all His guises: mushrooms, lichens, all creatures. As a boy, Max had delighted in his menagerie: a marmoset, a toucan, a lemur. The lemur had escaped, and left outside overnight, it had died of the cold. A footman had opened the door in the morning, and there the thing was, dusted with snow and stiff as cardboard. I detest winter, Max had declared. Franz Joseph, Charlie, and the little brothers, bundled in woollens and furs, they could go ice-skating or build fortresses for snow-ball fights; Max preferred to stay inside with his pets, his books, and the stoves roaring. The one thing he relished about winter, for it was a most elegant way of thumbing his nose at it, was to go into the Bergl Zimmer and shut the door behind him. Its walls and its doors were painted with murals, trompe loeil of the most luxuriant flora and fauna: watermelons, papayas, cockatoos, coconut trees, hibiscus. Where was this, Ceylon? Java? Yucatan? Sleet could be falling on the other side of the Hofburgs windows, but this treasure of the Bergl Zimmer, painted in the year 1760 for his great-great-grandmother the Empress Maria Theresa, never failed to transport one into an ecstasy of enchantment. Mexicans, walls, in the news. Couldnt resist. So in this excerpt I am writing across multitudinous borders and cultures: about a man, when I am a woman; about an Austrian turned Mexican, when I was born in Texas and grew up in the suburbs of California, then moved to Mexico, remaining a legal resident, not a Mexican citizen; someone whose native language was German, when mine is English; one of Europe's highest ranking aristocrats, when I have no title nor did any ancestor I know of; someone who was born more than a century before myself; furthermore, someone whose personality, religious beliefs, political values, pastimes, intellectual interests and aesthetics were all dramatically different than my own. Did I get Maximilian right? I dont know. There is no triple-certified committee of quadruple-authorized red-bearded blue-blooded Austrian-Mexican monarchist-Catholic-sailing-and-botany-enthusiasts to tell us. And even if Maximilian himself were available to provide feedback by means of time travel or, say, a credible séance, would that Maximilian, plucked out of 1866 or disembodied orb of some 150 years of floating about the astral, have the self-awareness, confidence, and good will to communicate to us a valid yea or nay? What I do know is that what I wrote, that bit I just read to you, is the product of my applying these five techniques, including heaps of reading, archival research, and a visit to Vienna's Hofburg Palace, and however good it may or may not be let the gods and the reader decide it is a mammoth stretch beyond what I could come up with in my first drafts. The stretch is towards empathy. Empathy is not the same as sympathy. I do not have sympathy for Maximilian von Habsburg, Archduke of Austria and so-called Emperor of Mexico and all that he represented and fought for; but for Maximilian the human being, I do have empathy. That empathy was something I achieved because I wanted to see him. In other words, such seeing takes heart and the writing that results is a journey of the heart, both for the writer and for the reader although the latter may not choose, or perhaps may not be able to take such a journey. One can proffer "the pearls of the Virgin," as they say in Mexico, and there will always be unhappy souls who loudly proclaim that they do not like hard little white things. 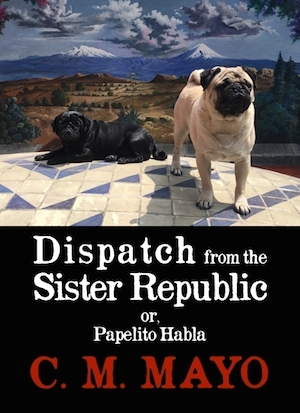 See also "Dispatch from the Sister Republic or, Papelito Habla," a longform essay on the Mexican literary landscape and the power of the book.